EVERYTHING BEAN'RE: seems like only yesterday! I got my first Harley in 1989. 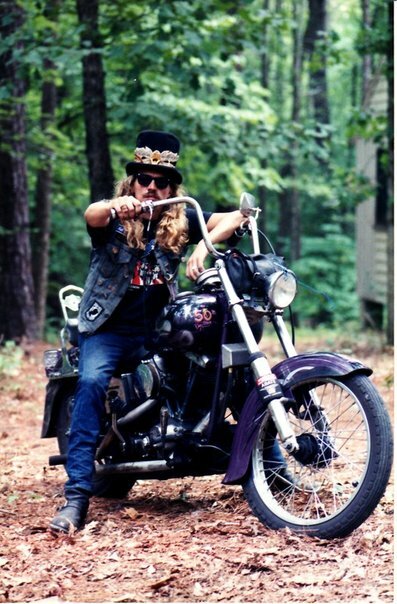 I owned many other bikes but never a Harley. The high cost of low living kept me from affording a Harley. When I stopped drinking and drugging, I could afford one. This was me in the late 80's. It started as a 1980 FXWG- I bought it from an ex- meth head. He had totally destroyed it. I paid 2500 and rebuild everything. I ended up putting 2500 just into the motor. 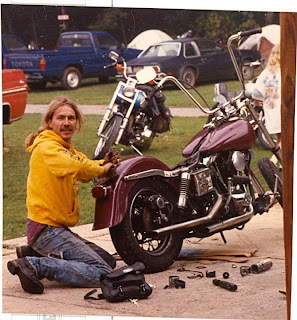 I was constantly working on that bike. It was always something. This picture is what I looked like everywhere I went. One year Myrtle Beach I had the transmission out 3 different times, but I still made it on the cover of the Sunday's paper, pulling a weighted sled at the local rodeo. Now this bike goes back to the mid 80's. I had just gotten out of the Marines. 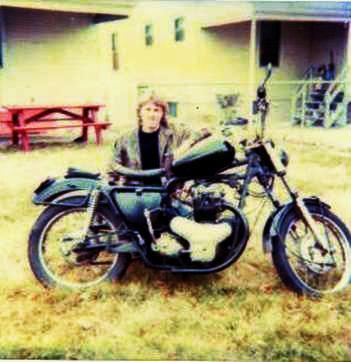 I was a Kawasaki W1- 650. Everyone thought it was a BSA pre unit. It was an exact copy Kawasaki made. I sold the bike when I bought a triumph ( that didn't run) to a friend. Now this is where the story gets interesting. As the legend would have it, I borrowed the Kawasaki from the guy I sold it to and rode it down to a weekend party with the KBA ( Kentucky Biker Association). I entered it in the dirt drags and ran the heck out of it all weekend. Sunday morning i rode in the rear of the pack with a bunch of Harleys on the way home and we were running about 100 miles an hour in the hot summer sun. The bike just wouldn't take anymore and broke blew the motor. Everyone kept going and no one ever came back. I pushed the bike in a ditch on the side of the highway and covered it with weeds and brush. I hitch hiked home. A week later i rode down with a truck to get it. A highway crew's bush hog had hit it and they were trying to sue me to get the money for their damaged equipment. Now that is how the legend went. I can neither deny or confirm the exact facts but I can say one should always be careful who they lend a motorcycle to! As a gainfully employed state worker of the great state of Florida, I believe in all sincerity that this was a malicious attempt by jealous insecure individuals to tarnish your reputation and good name..the bastards!!! !